Microsoft is excited to announce (literally just announced at the Ignite session!!!) that they will be releasing MS Project Agile v1 to our Insiders Fast build 16.0.8625.1000 this week. 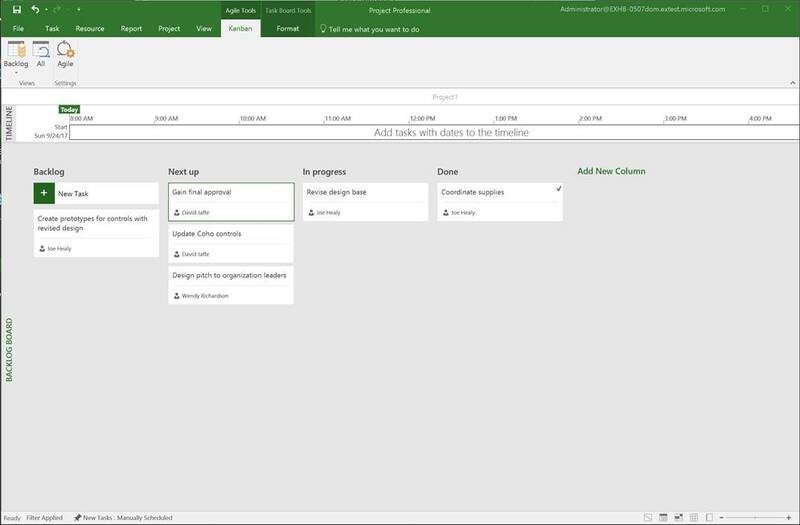 If you are on this build or later you will be the first MS Project users to get your hands on our new MS Project Agile v1 feature! Project managers can choose whatever methodology makes sense: agile, waterfall, or hybrid. Great new feature. Look forward to using it!